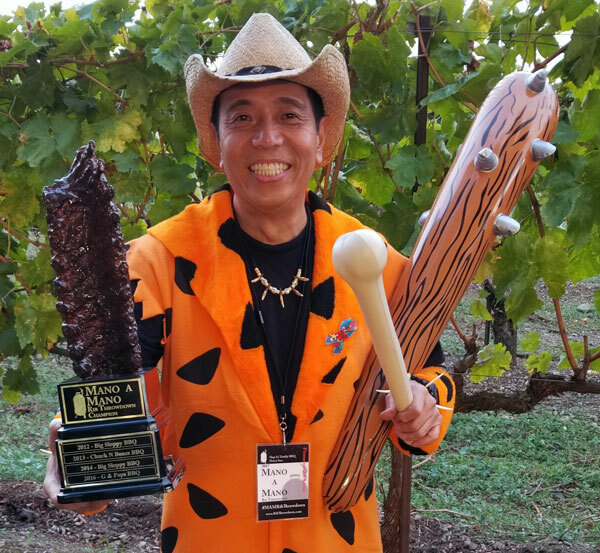 I was honored to win the 2017 Mano A Mano Rib Throwdown Championship in November 2017. The event was a caveman-style event where 28 competing teams were not allowed to use modern conveniences such as electricity and aluminum foil. 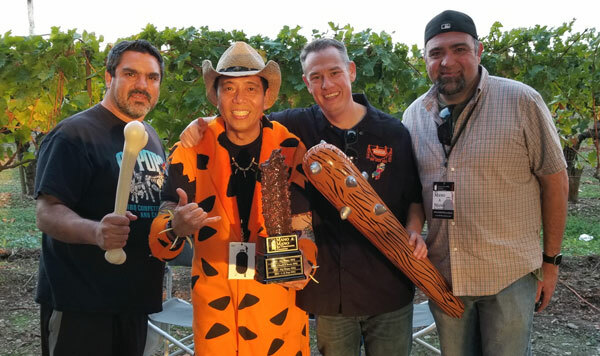 In short, it was fire, ribs, and smoke that ruled the day at the Retzlaff Winery in Livermore, California. This was the fifth year of this event and the proceeds benefited AutismSpeaks.org to raise awareness for autism. A number of certified judges and local tasters judged the entries on Appearance, Tenderness, and Taste. A maximum score of 9 points plus associated weighting was assigned to each of the six judges’ scores for the three criteria. 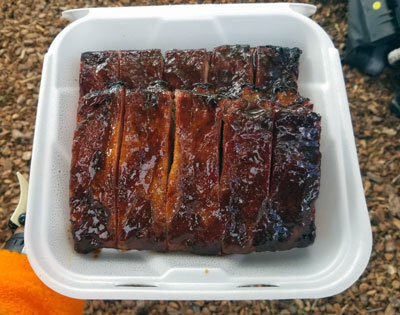 Cooking caveman-style without foil poses a big challenge to the teams as it’s difficult to get the ribs to become tender without drying out when cooked unfoiled in the smoker. I decided to pull a trick out of my hat and “foil” with bacon and pork belly. 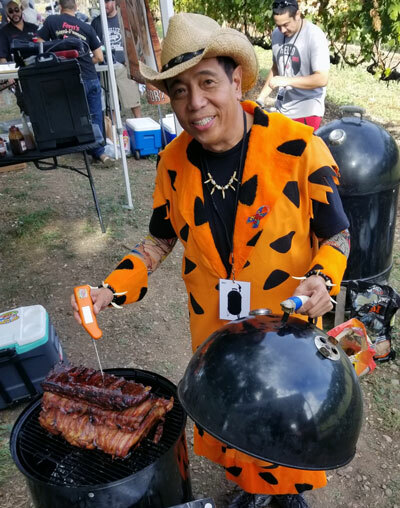 See my 10 minute Youtube video to learn my secret tips and tricks on how to win a caveman-style Rib Championship. 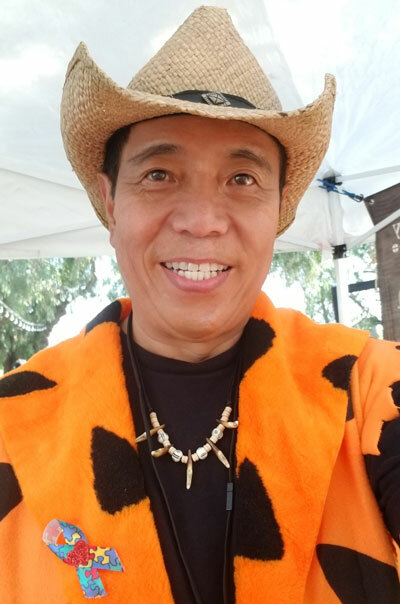 When the dust settled after judging and awards, I donated my prize money back to the autism charity. I get to keep the perpetual trophy for a year and will return to defend my title in November 2018. Thank you Harry. Great instructions! How did you keep from snacking on the bacon while it was cooking? LOL! After the contest, it was pork belly pig candy (brown sugar and my rub) and served to helpers and visitors. Delish. 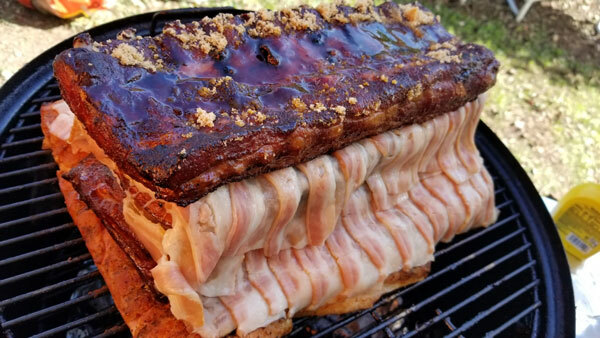 Hi guys, Just wanted to tell you that I really enjoy your blog and am going to pop you in my top 5 list of best meat smoking blogs on my site https://www.projectsmoked.com/ It will come out end of the next month. Check it out on the 28th Aug. Thanks! iphone! Јust wanjted to say I love reading үour blog and look forward tⲟo all your posts! Carry օn thе excellent woｒk!